In past, I’ve shared articles about several popular haunted places of Bangladesh. Now, You will know about a less popular haunted place Purba (East) Nayatola Rail Crossing, Moghbazar, Dhaka. Though, Many peoples are not aware of this haunted place, It is considered as one of the few rail crossings in Bangladesh where people experience paranormal things. 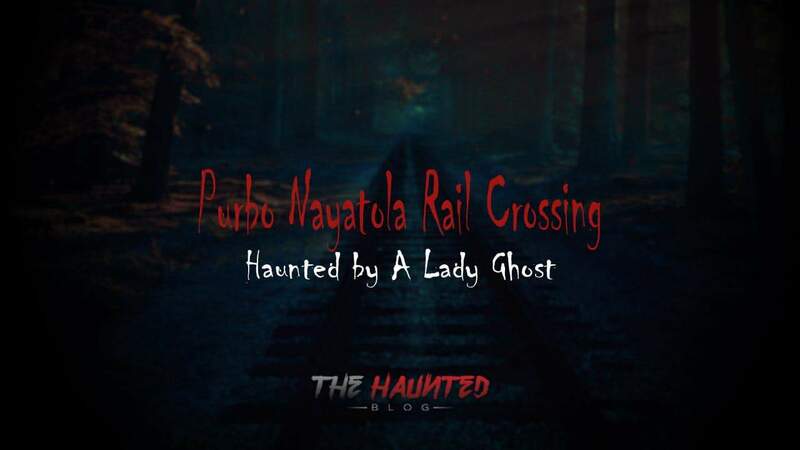 The purba nayatola rail crossing is basically considered haunted for a lady ghost who lost her child in this area. Now, You will know about it in details. This experience was shared by a station master. You will find it in social media and blogs. Sometimes people see a weird lady who is looking for something. There are many peoples who claimed that they saw her. The station master also saw her. At first, He did not think this was that woman. He asked this woman what she was doing there. The woman replied she lost her son and she was looking for him. But, Within a very short moment, This woman disappeared. Then, The station master became sure what she was. Some people think this is a spirit of a woman who lost her child here. She was looking for her baby and at last gave up. Then she committed suicide here or she died in railroad accident. Some other peoples think, This is one kind of Jinn (Demon) who pretends to be the woman’s spirit and scares general peoples at night, dawn and evening. In my opinion, Whatever she is should not be a matter. Many peoples claims that she is one of the reasons people die in railroad accident here. So, You should be aware and cross purba nayatola railroad crossing carefully. Previous articleIs The 47/2 House of Farmgate Really Haunted?